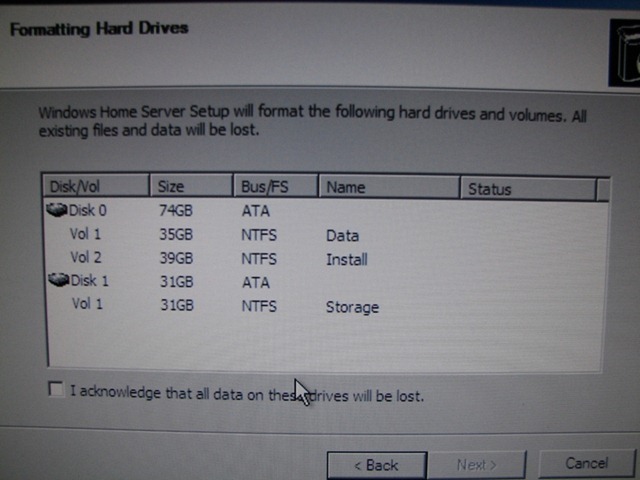 This is a good reason not to install Windows Home Server. The setup will format ALL disks attached to the computer. Next, I’ll try FreeNAS, powered by FreeBSD.